Swing state students debate: absentee ballot or register at school? As the 2012 Presidential election looms, college students straddling New York and their hotly contested swing states such as Ohio and Wisconsin are grappling with where to cast their ballot. They have the option of either registering to vote in New York, or sending their vote home with an absentee ballot in the hopes of making their state swing a little more their way. This choice brings to mind something a politically charged Dr. Seuss would say, “One state, two state, red state, blue state.” This (slightly altered) mantra is a full on rumba for those students hailing from the swing states. In interviews with seven New York University undergraduates through Facebook and email, five out of the seven responded that they were sending absentee ballots home in support of President Obama. The other two were planning on sending absentee ballots home, but were still undecided about which candidate they were going to check off. 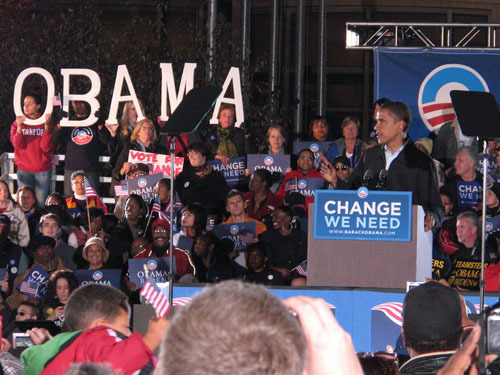 In their responses, they noted that Mitt Romney and President Obama are campaigning relentlessly in their schools, offices, and airwaves. They understood the election will be decided by the slimmest of margins their home states and their votes are the ones that will potentially decide the next President of the United States. And they’re not taking it lightly. Jonathon Kopnick, a 19-year-old NYU student from Wyoming, Ohio echoes the sentiments. No Republican candidate since Abraham Lincoln has won the Presidency without winning Ohio’s 18 electoral votes.